You will find yourself blown away after realizing some of the most bizarre actions that fifteen of the most dangerous women have committed before being sent off to prison. Most of these women on this list actually seem to have a lot in common with one another. For instance, one example is that several of the nurses ended up becoming murderers of their patients and more than a few mothers have went crazy and wound up killing every one of their kids. But, all of these dangerous women are not the same, though. Some stories are completely out there, you would never believe what they’ve got up or what motivated them to do what they did. Catherine Birnie, for instance, r*ped and murdered women just to prove her love to her partner. Now you tell us, how crazy is that? One woman was so horribly behaved in prison before, taking hostages and showing great violence and strange behavior towards them, she even went as far as cutting the hair off her hostages’ head, only increasing her sentence for life. Some women have teamed up with a partner to help kill people. A few of these women enjoyed hurting really old ladies they in real-life they knew! Just really weird things. It’s almost like watching Law & Order coming to life. These are all real women with real histories and real motivation for murdering and all of these troubled ladies are still alive to this day. Born in Spain in 1969, Francisca Ballesteros really had something against her own family. She murdered her husband, both of her daughters, and even attempted to kill her son throughout 1990 and 2004. She dreamed of a better life for herself and met several men over the internet. She struggled with postpartum depression after having her first daughter, who was named Florinda. She decided to move away and stay with one of her online male friends after killing her family. Her first daughter was murdered with a drug known as Colme, this was when the baby was just a mere five months old in the year 1990. She did not start killing again until 2004 when she had two more children, which left a huge gap between her killings. 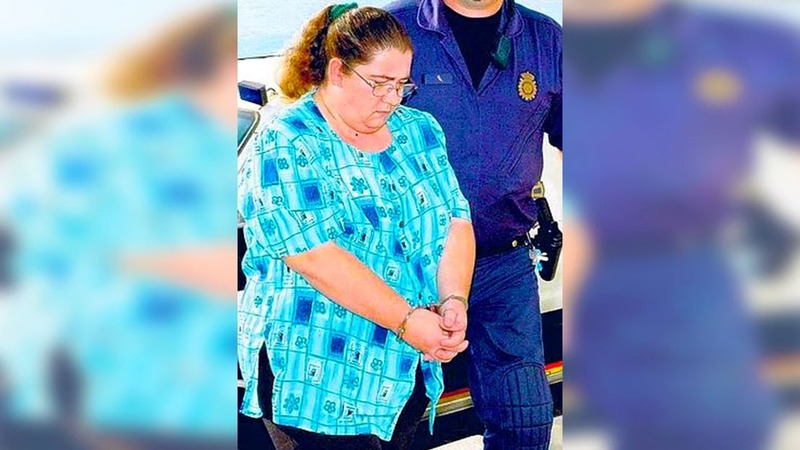 She killed her second daughter and her husband with a sedative known as Zolpidem and has also tried killing her son with the exact same drug.